The site will be covering many aspects of the awesome content management system (CMS) and development platform that is Joomla! The site will focus on the building of Components, Modules, Plugins and Themes. And help users understand just how easy Joomla is to develop on. There will be training videos, a forum, a free database/signup of Joomla developers, coders and designers for people to hire through. There will also be access to the forthcoming web application "Joomla Extension Maker" which will enable rapid development for Joomla enthusiasts. As well as Joomla Templates (free & paid for) and pre-built Joomla Extensions that we have built. The site is aimed at Joomla enthusiasts who want to take their Joomla experience to the next level - and get into "development" rather than just buying a template and playing in the Admin. The site is also aimed at Corporate Businesses and Public Sector organisations who want a BUSINESS minded team they can contact for Joomla Support and application development. The logo needs to be aimed at BUSINESS and PEOPLE first and should be neat, elegant, simple, clean. Nothing overly complex. It can refer to (allude) to the Joomla logo and/or colours a bit - - but subtly - - not too much. 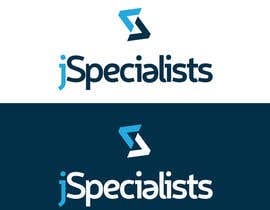 The current Joomla logo is nasty so please make sure you have thought it through first. As above, the essence of the website is to help coders and help marketing and IT teams within larger businesses and public sector organisations (like councils and housing associations) who use Joomla. So, it's about the people and making them feel that this is a trusted, safe, robust logo. At the end of the project, we will require the logo and font (or logo converted to curves/outlines) and full set of files (e.g. Adobe Illustrator) so we can ensure we use the logo correctly with the right colours etc etc. We expect that it will be in CMYK format. business card) will just clogging up the process. if it will work on different things. add multiple graphics to the same submission.